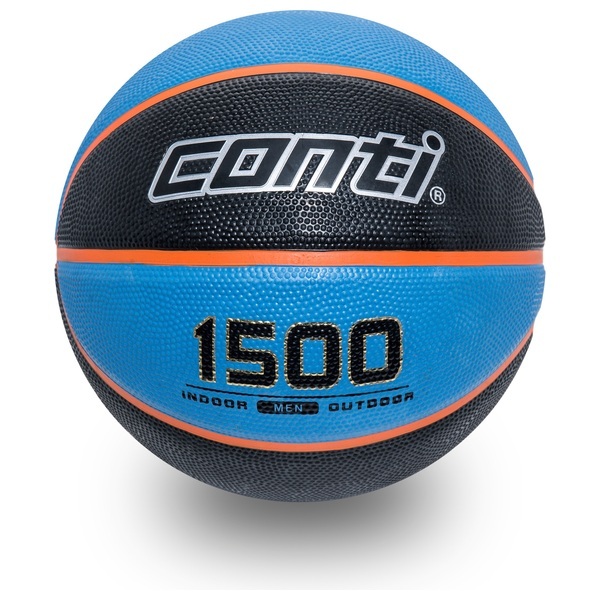 Black and blue colour combination Conti size 7 basketball. Super soft touch sponge rubber cover,concave deep channel in orange colour,ball with alternative black and blue colours. Suitable for indoor and outdoor use.